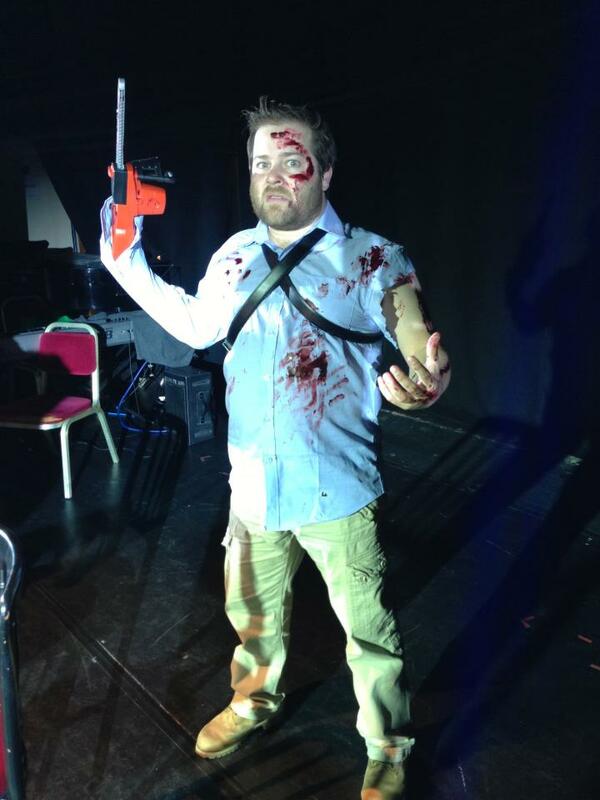 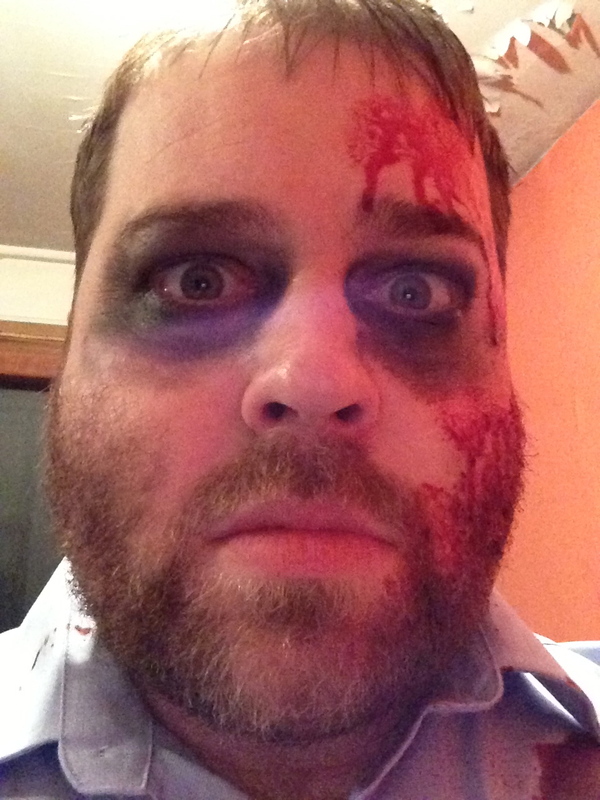 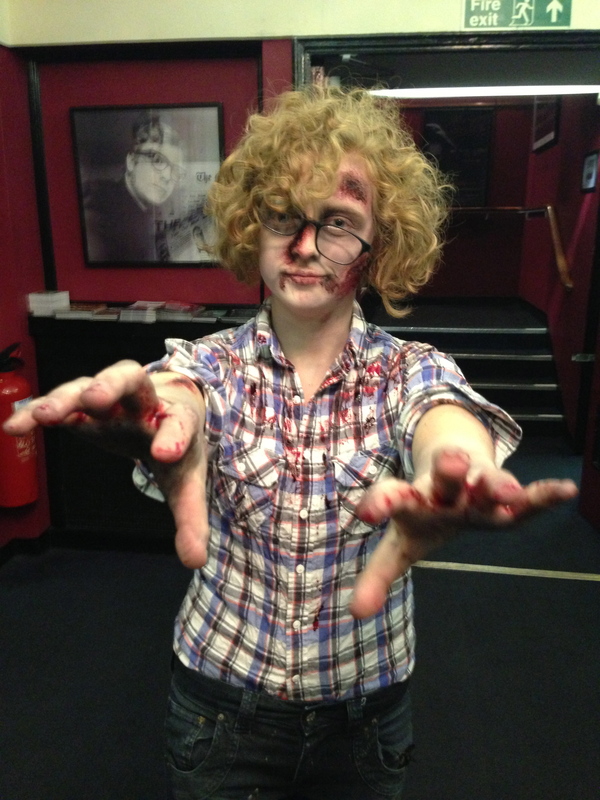 As a co-production with the Leicester Square Theatre’s 13th Hour Horror Festival, Zomedy was a crazy comedy experiment that is what happens when you recklessly let me do what I like. 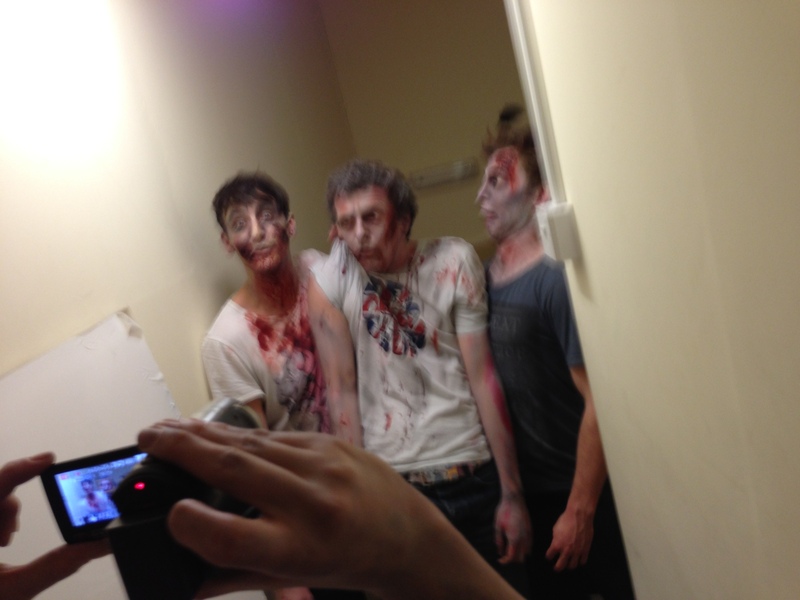 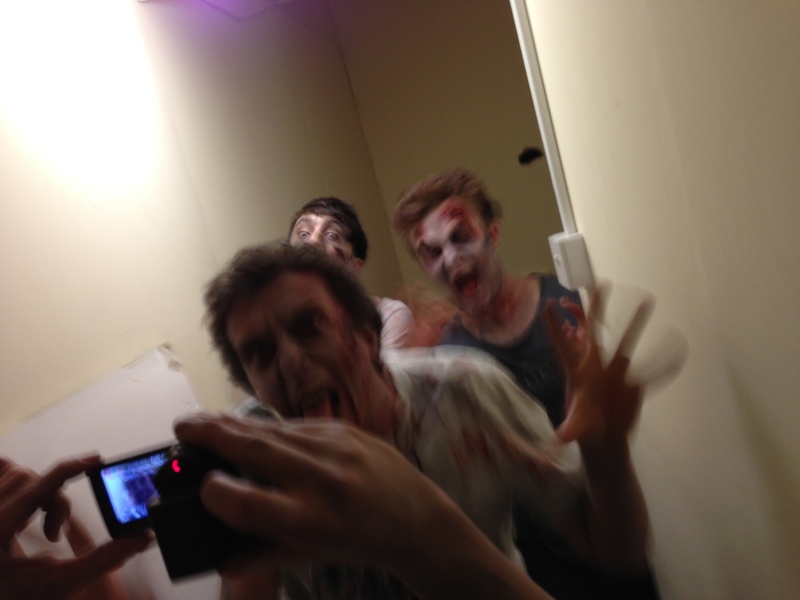 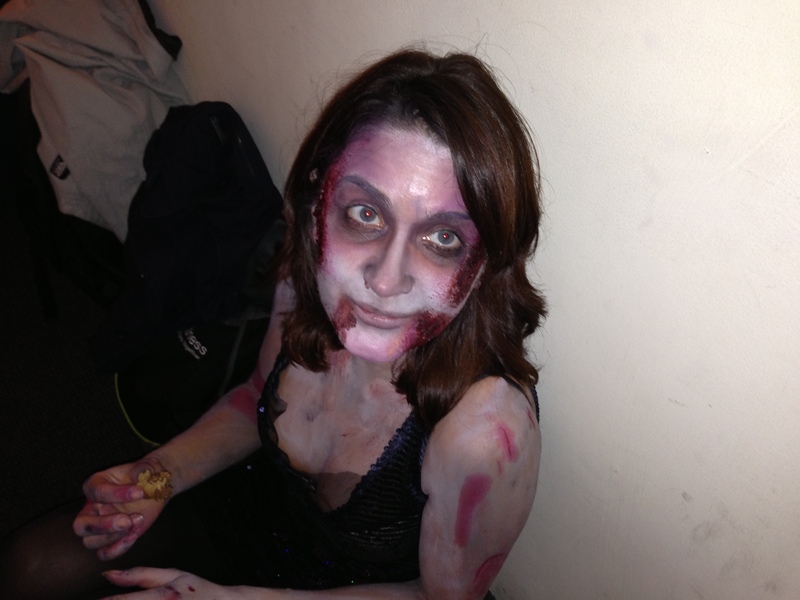 Taking place on October 30th 2011, it was a comedy night with all the acts performing zombie based material, meanwhile a zombie outbreak happens backstage. 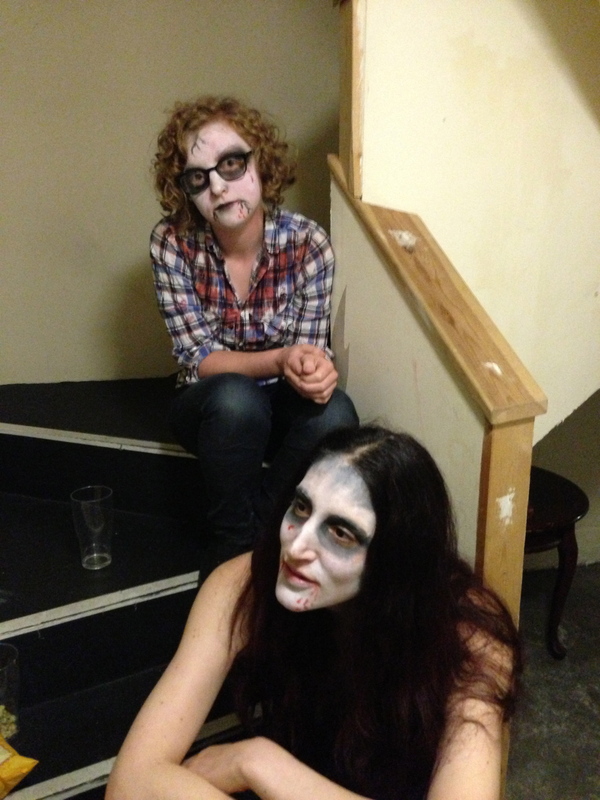 Then eventually, onstage too. 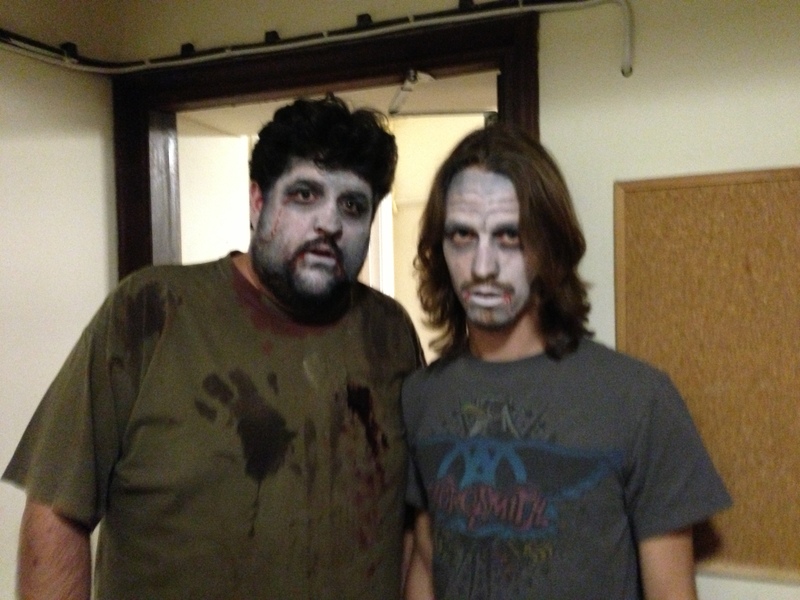 The show featured comedians both performing and pretending to be undead, with Rich Fulcher as a brilliant headliner. 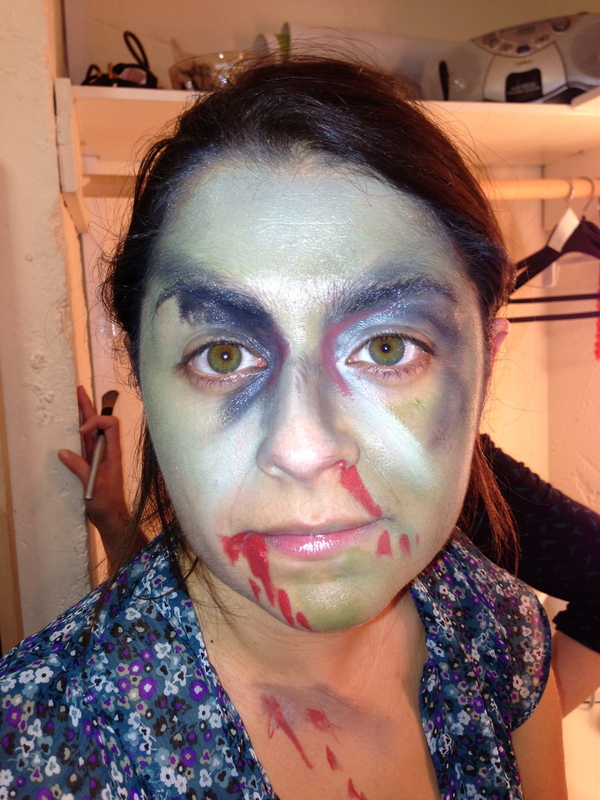 We had a team of make-up artists back stage, a pretend live video link up, and various hidden surprises to spook the audience. 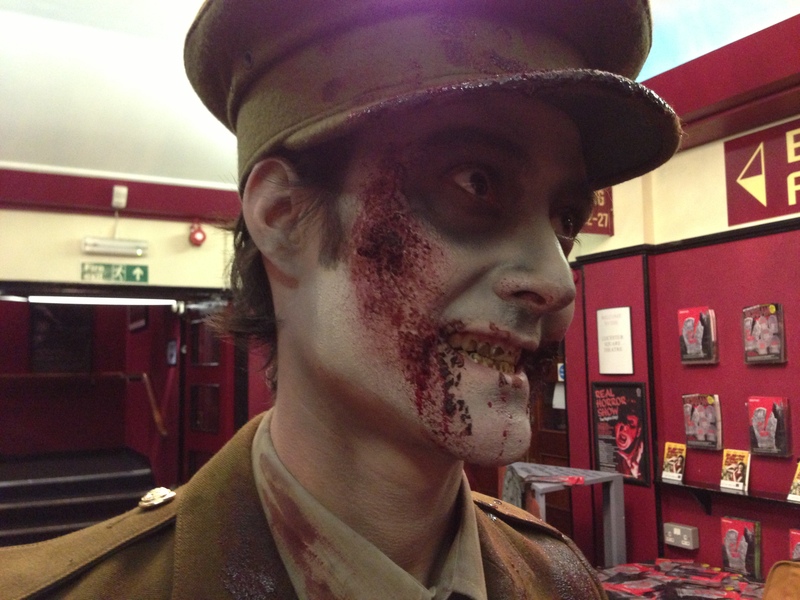 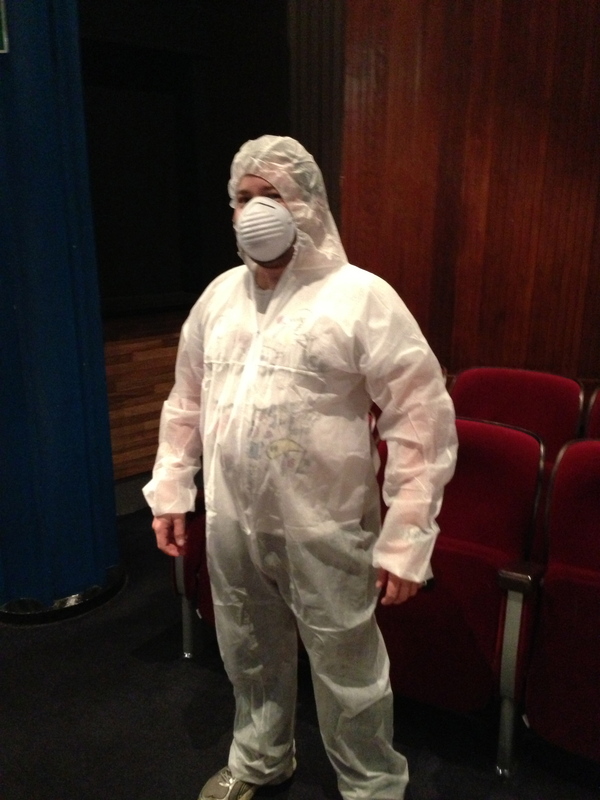 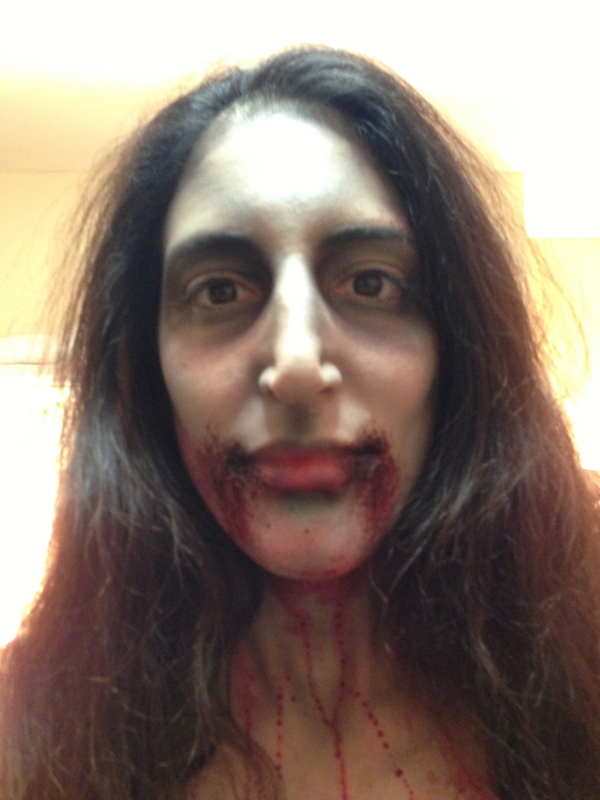 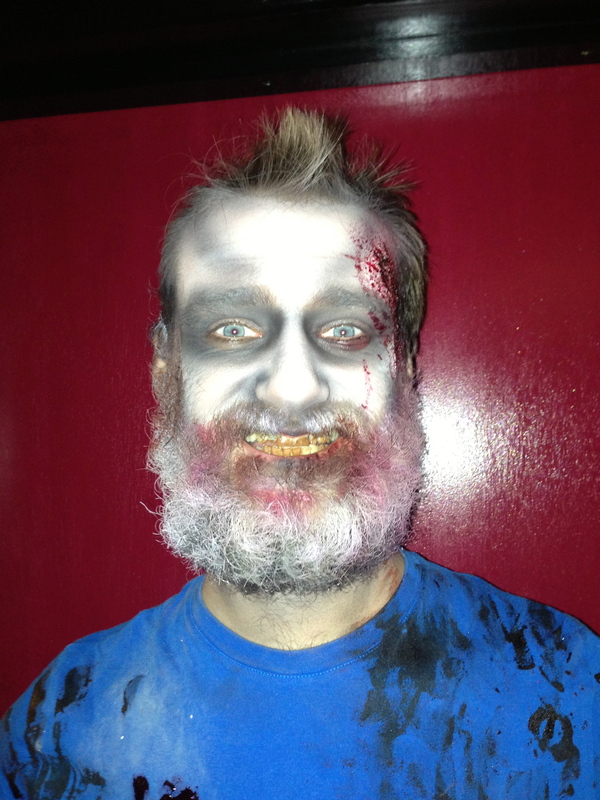 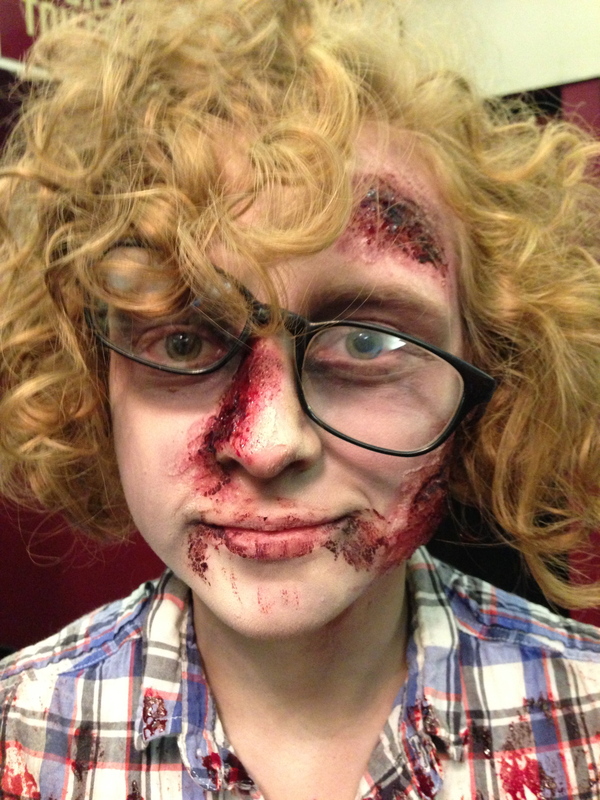 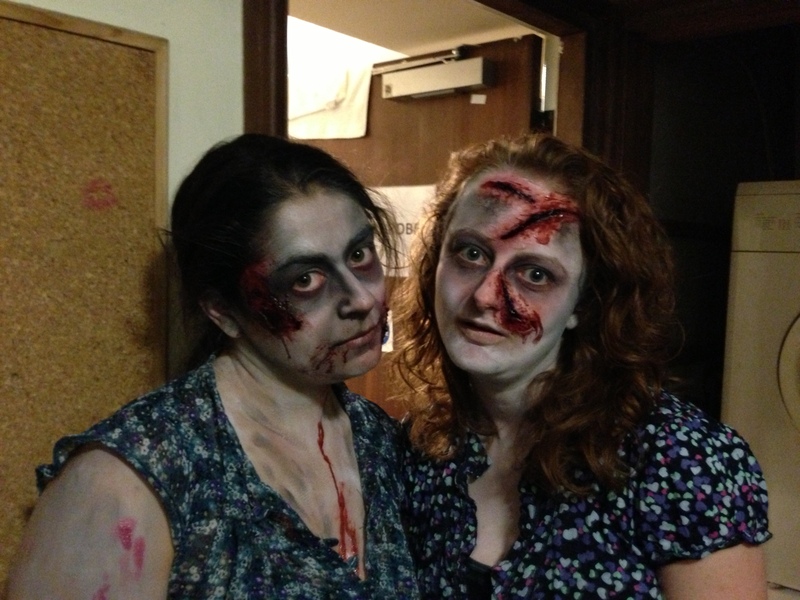 It was a very fun evening, made even more so by the audience members who turned up in full undead regalia. 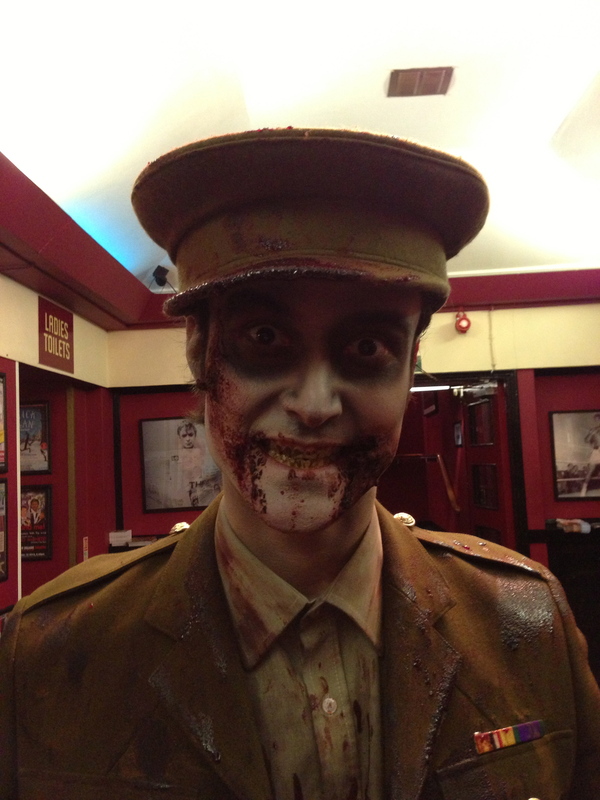 All the artwork was designed by the excellent Tom Humberstone and the show was directed by the brilliant Kat Hoult. 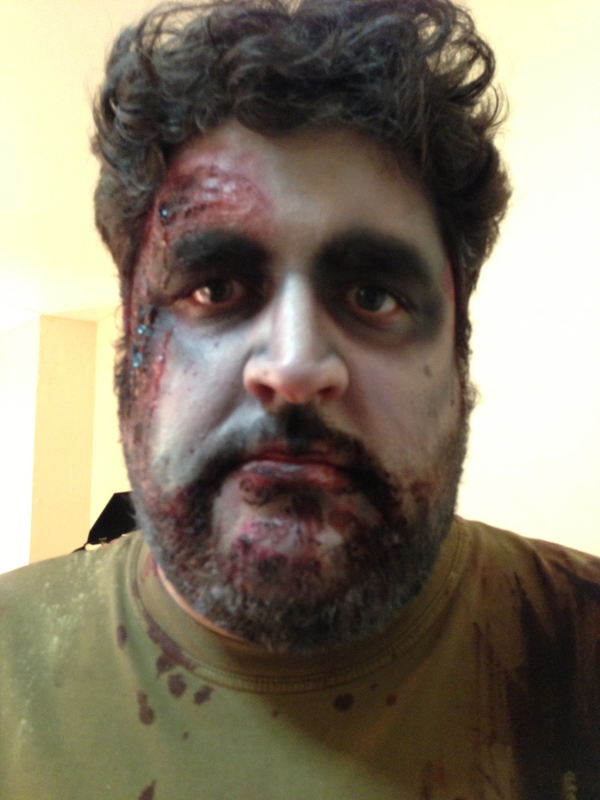 Also huge thanks to horror writer Jason Arnopp who helped me with the script.